Why Should You Invest in Cryotherapy Chambers from CryoAction? Whole-body-cryotherapy (WBC) is the new quick and easy treatment used by thousands of athletes worldwide. The procedure involves standing in a chamber at a low -135 degrees Celsius for 3 minutes. Cryotherapy efficiently relieves pain and prevents depression improving athletes’ performance as well as sleep patterns. Why Should You Choose CryoAction’s Cryotherapy Chambers? CryoAction has designed two types of cryotherapy units, namely the integrated chamber and the transportable chamber. The integrated chambers have a customisable design which ensures an efficient use of space. The units have a prefabricated structure including a pre-chamber and main chamber which are thermally isolated. The chambers have capacities ranging from 2-3 persons to 5-6 persons. 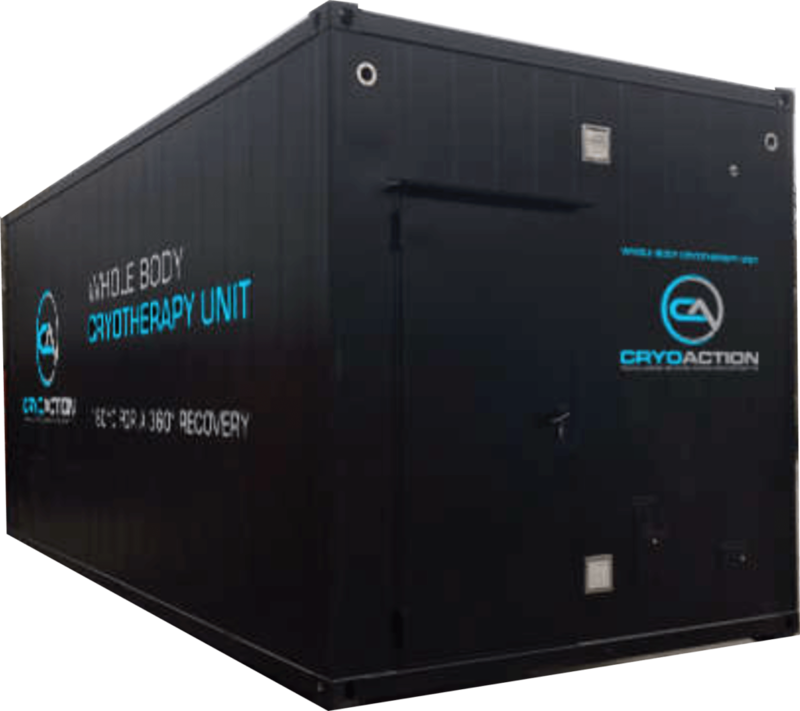 CryoAction offers a unique solution for locations with limited space through its transportable cryotherapy chambers which can be attached to health clubs or gymnasiums for temporary use. The units include a main chamber, a changing room and separate area for the technical systems. CryoAction’s chambers are offered for purchase at highly competitive rates. The chambers are sold with an integrated servicing package, customer support, and training plan. This is how CryoAction guarantees a high ROI for your business. Businesses’ also have the option of spreading payments for the unit over a certain period of time by undertaking a medium or long-term lease. The rental chambers can be delivered to clients who require a quick recovery solution for their players in the shortest time possible. For additional financial support, CryoAction offers a 50% cashback of rental fees as a discount for leasing clients who purchase a cryotherapy unit. CryoAction’s chambers reach temperatures as low as -160 degrees Celsius within 40 minutes, using liquid nitrogen. The carefully engineered system developed by CryoAction guarantees the most economic use of liquid nitrogen to achieve excellent results. The chambers feature an automatic shutdown program to prevent any alteration in oxygen levels that could affect the treatment. To ensure optimum recovery conditions, CryoAction sets the perfect oxygen concentration level in the chamber at 18-22%, introduces a quantity of 163K > 35m3/h of respiratory air and the lifespan of its oxygen sensors is between 3 to 4 years. Several alarm buttons and cameras are installed inside the chamber so that the operator can fully control the treatment. All CryoAction chambers are tested and certified as Medical Devices and operate according to European standards. CryoAction will definitely improve your business’s overall turnover by guaranteeing you offer state of the art cryotherapy treatments to your clients.